The Fremantle Hospital Ladies Auxiliary is a registered charity that has grown from humble beginnings in 1925. 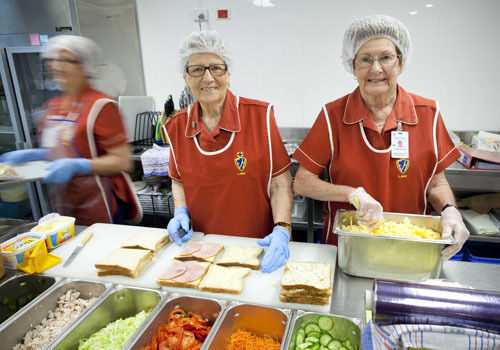 Originally supplying homemade soup and sandwiches, the Auxiliary now operates the only retail food outlet in the hospital. Stocking more than 300 food lines, the Auxiliary also offers an in-house function catering service and ward refreshment trolley. Profits from sales are used to purchase much-needed equipment and resources for the benefit of the hospital’s community.